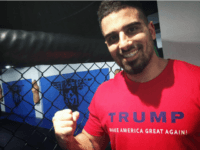 Recently published undercover footage from Jewish-Australian military veteran Avi Yemini shows popular comedian Jim Jefferies edited his interview in a misleading manner in order to paint his guest in a bad light. 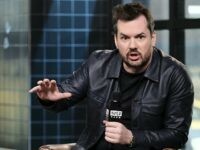 Comedy Central’s Jim Jefferies, a regular critic of president Donald Trump recently became a naturalized citizen, but in recent comments claimed he was afraid that Trump would somehow block his bid for citizenship. 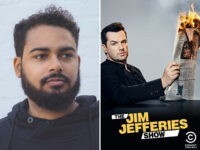 Curtis Cook, a writer for Comedy Central’s Jim Jefferies Show, said Wednesday that he wishes outgoing Associate Justice Anthony Kennedy had been shot instead of former president John F. Kennedy or Sen. Robert F. Kennedy.